Investment in Malaysia: Why should you invest in Malaysia? Why should you invest in Malaysia? For starters, you should know that the country is strategically located in Southeast Asia, with a knowledge driven economy of Singapore to its south and a massive consumer market in Indonesia close at hand. Malaysia offers you low start-up expense when you compare it with Singapore and other countries in Asia while the rental rates are also quite low. The labor cost is considerably well below other Asian countries as well. You will be able to avoid the burden of double taxation in Malaysia because the country has signed 68 double taxation agreements with other nations for your convenience. When you send dividends out of Malaysia, you do not have to pay any withholding taxes to the government. Similarly, there are no limits to the amount of profits or dividends you want to send back to your own country. Malaysia’s economy has thrived in recent years and the country is benchmarked by business pundits for its first-rate infrastructure, efficient banking system and financial services sector, proficient and multi-lingual work force, while the compliance and reporting standards are extremely helpful for setting up a business in this country. Through its policies, the Malaysian government strongly encourages inward investment in Malaysia and also has been successful in attracting thousands of foreign companies to invest in the country. You should never feel worried about getting credit in Malaysia as the World Bank and IFC rank the country in the top position in the world for ease of access to credit, complemented by a first-class public registry and private bureau coverage. In terms of protection to investors, Malaysia ranks within the top five countries in this group mainly due to its exceptional regulatory environment. With robust private investment in Malaysia and consumption, growth rates of over 4 percent have been consistently achieved in Malaysia and economists earmark such trends as an unmistakable validation of the country’s potential. 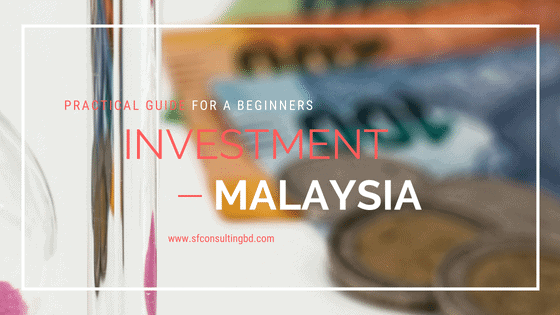 As a potential investor in Malaysia, there are several business structures you can choose from according to your requirements. You have the options of setting up a sole proprietorship business, partnership, limited liability partnership, private limited company (Sendirian Berhad), representative or regional office and even a branch office for your company. Among the new Small Medium Enterprise (SME) owners in Malaysia, the Sole Proprietorship and Partnership are the most popular options by far. By definition, if your business is totally owned by a single person who uses his or her personal name according to his or her identity card or trade name, it will be classified as a sole proprietorship business. In the case of partnership, the business can be owned by two or more individuals but cannot exceed twenty persons. Furthermore, in a partnership you cannot use the identity card name as a business name. The limited liability partnership (LLP) combines the pertinent features of a partnership business and a limited company. For this type of partnership, its business entity is separate from the partners. The LLP is required by law to be comprised of at least two partners and is entitled to purchase property in its own trade name. A corporate body or a person can be a partner in this type of partnership. This type of partnership business falls under the jurisdiction of the Limited Liability Partnerships Act of 2012. A LLP is quite popular in Malaysia because partners find it quite convenient and flexible to set up and run such a business while they get the platform to compete in the domestic and international markets as well. A Sendirian Berhad (Sdn Bhd Malaysia company) or a private limited company must have a minimum of two subscribers to the shares of the company and a minimum of two directors by law. A person who is affiliated with a professional body which has been approved by the Minister of Domestic Trade Cooperative and Consumerism can fulfill the role of your company secretary. The professional body can also be certified by the Companies Commission of Malaysia (SSM) for this purpose. It is binding for both the director and the company secretary to have their main or only place of residence inside Malaysia. No matter which type of business you choose to operate; it must be properly registered with the Companies Commission of Malaysia (SSM). A foreign company can also run a business in Malaysia by establishing a Representative Office (“RE”) or Regional Office (“RO”). This office will give you the opportunity to evaluate your business prospects in the country before committing into a permanent investment in Malaysia. The RE or RO can only stand for its head office to perform its duties and cannot engage in any commercial activities on its own. It can carry out the activities to enhance bilateral trade relations and encourage export of Malaysian commodities while gathering appropriate information on its business outlay and opportunities in Malaysia. The office will be financed from outside the country and its sphere of influence will be limited to the region it would function in. You are not permitted to set up a RE or RO without the consent of the Malaysian Government. In order to operate its business in Malaysia, a foreign company can establish a branch office in the country. It is considered as an extension of the parent company and cannot exist as a separate business entity. Due to its nature, the branch office is deemed as a non-resident entity since it is controlled from abroad. The parent company will be responsible for the debts and liabilities of the branch office. Before setting up a location for business in Malaysia, the branch office must be registered at the Companies Commission of Malaysia or SSM. The branch office must have at least one agent who lives in Malaysia.